Herman "Ricky" Maynard Jr. died Dec. 28, 2005. Herman “Ricky” Maynard Jr. died Wednesday, Dec. 28, 2005. He was 54 years old. He was born Nov. 3, 1951, to Herman Maynard and Glenn Marie Toler in Logan, W.Va. They moved to Moab, Utah, where he triumphed in basketball and graduated from Grand Valley High School in 1970. He spent the majority of his life in Carbondale. He was an amazing stonemason, building fireplaces in upscale homes in the Roaring Fork Valley. He was proud of his two sons, Rocky and Cory Maynard. Judy Pratt, a woman who could outfish him, loved him more than he probably ever knew. He loved fishing, hunting, the Broncos and talking with friends. He smiled at any humor he could find. He will be missed by his family and many friends. 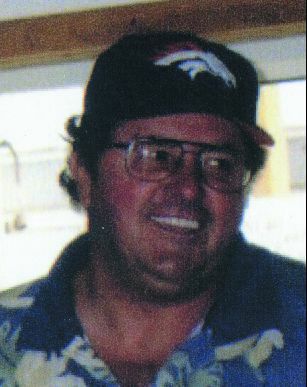 Survivors include his mother; brothers Phil (JoEllen) Maynard, Scotty Maynard, Roger (Linda) Maynard, Greg Maynard and Lawrence (Gina) Lusk; sisters Tina Lusk and Tootie Terry; niece Mariane Maynard; and many friends.A small get-together will take place during the first Broncos playoff game at Phil Maynard’s home. Call 945-0604 for details. Cremation will take place.